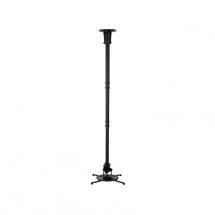 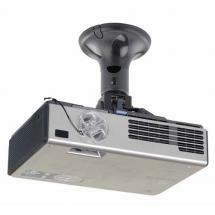 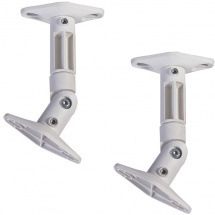 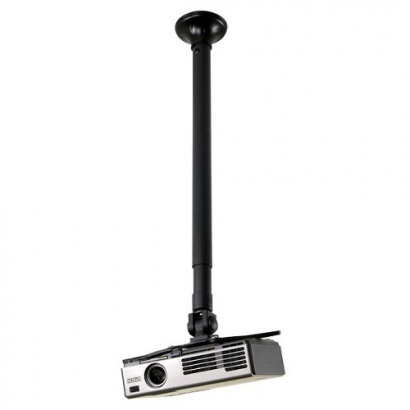 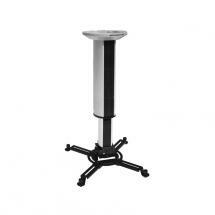 NewStar's universal BEAMER-350BLACK ceiling mount is a space-efficient tool for everyone who often uses a projector. 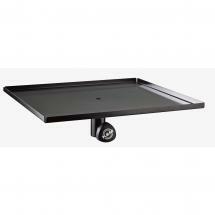 When you're working in a room with a high ceiling, it might be difficult to create an image that's accurately centred. 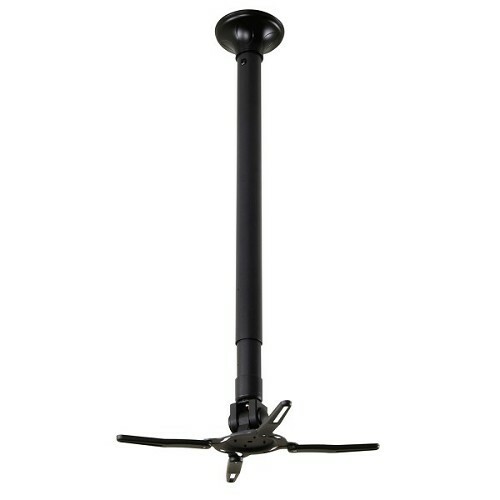 Luckily, this ceiling mount has a long neck that can be adjusted from 28 to 44 inches. 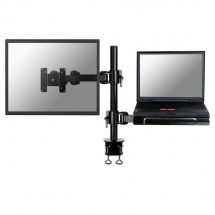 As the mount can be tilted, swivelled, and rotated, you'll always find the perfect view. 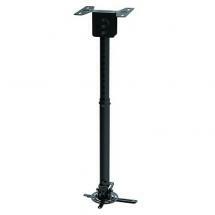 Cables can be neatly tucked away in the column of the neck. 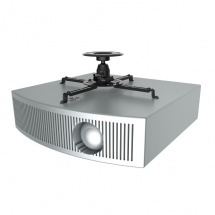 The ceiling mount is easily fitted to your projector by means of the hole pattern that you can find on the bottom of your projector. 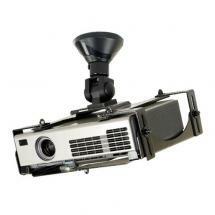 Because the mount can hold projectors with a weight of up to 26.5 lbs, almost all models are compatible.